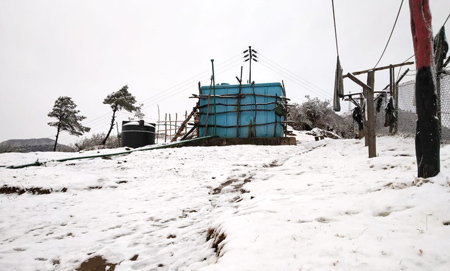 Heavy snowfall occurred at RR Hill and Sela Pass in West Kameng district on Tuesday. According to reports, the snowfall at Sela Pass forced vehicles going to Tawang to return to Dirang and Bomdila, while vehicles coming from Tawang also had to turn back from Sela Pass. Heavy snowfall is also reported in Tawang.